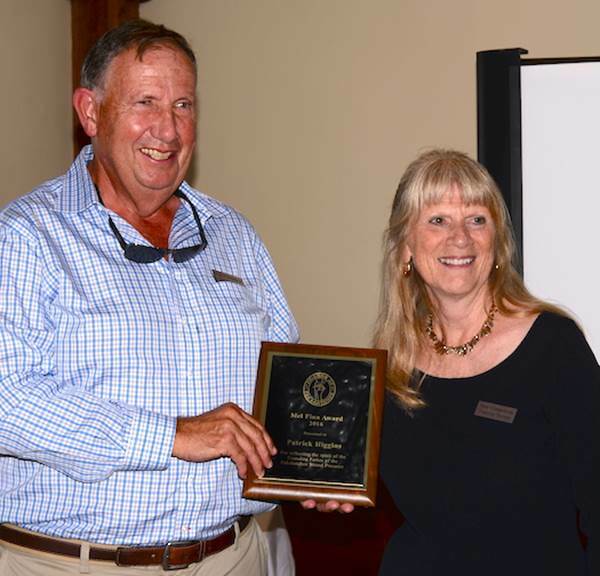 Vice-president Patrick Higgins received the Friends of Fakahatchee Mel Finn Award at the group’s recent annual meeting. The award is presented annually to an outstanding member. The award is named for Mel Finn, who has been called the father of the Fakahatchee for his efforts to preserve Fakahatchee Strand. In addition to serving as vice president, Higgins’ many other contributions include leading swamp walks and tram tours, making presentations on the Fakahatchee to area groups and serving as the FOF project manager for the Boardwalk Expansion project. Don Harmon, Roger Dykstra, Dennis Marlin, Elsa Caldwell, Barbara Lewinski, Franklin Adams (2005), John Elting (2007), Allen Caldwell (2008), Nelson Tilden (2009), Marya Repko (2010), Tom Maish (2011), Caryl Tilden (2012), Glen Stacell (2013), Bill Mesce (2014), and Howard Lubel (2015).